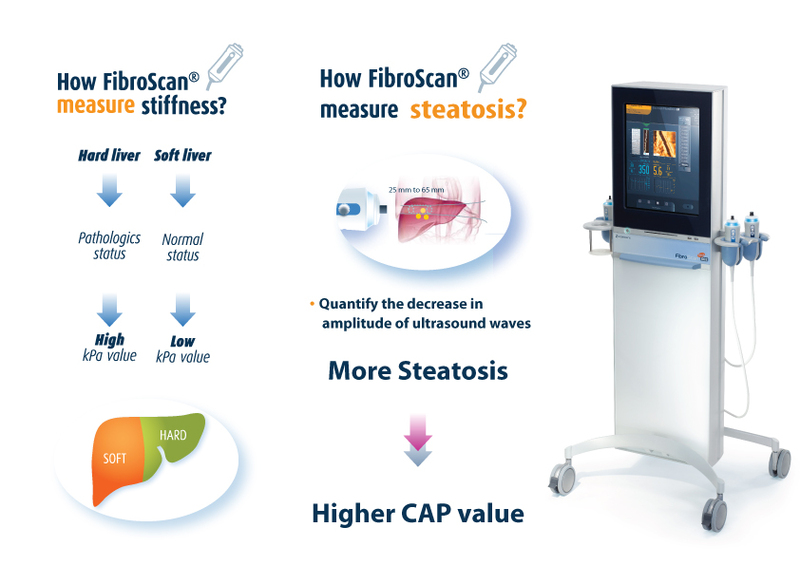 Examination with FibroScan®, also called transient elastography, is a technique used to assess liver stiffness (measured in kPa correlated to fibrosis) without invasive investigation. The result is immediate; it shows the condition of the liver and allows physicians to diagnose and monitor disease evolution in conjunction with treatment and collateral factors. Exam results help to anticipate various complications, as well as to monitor and assess the damage caused by conditions such as cirrhosis. The FibroScan® examination is painless, quick and easy. During measurement, you feel a slight vibration on the skin at the tip of the probe.